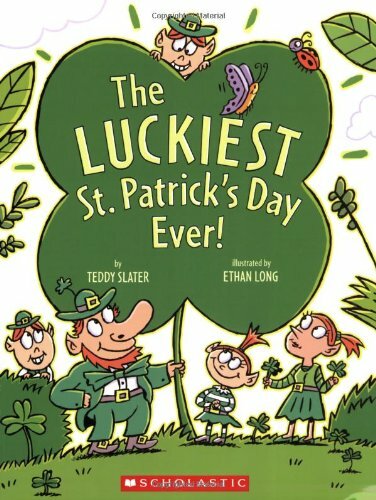 St. Patrick’s Day is one of those holidays that didn’t really mean much until I had kids. 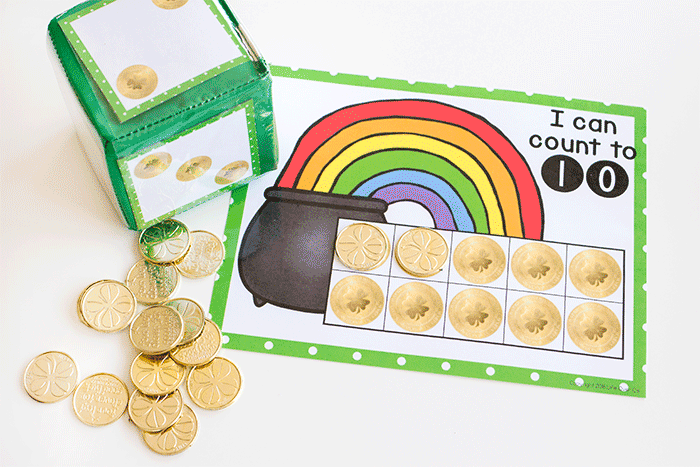 Now I see it as a fabulous theme for learning activities, like our Gold Coin Counting Grids. 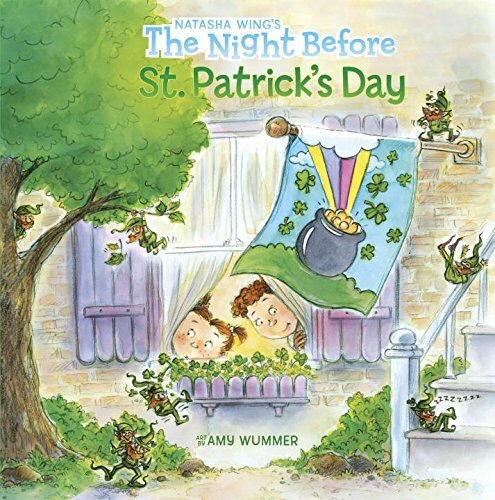 (And a super awesome day because my youngest daughter was born on March 17th… ) We’ve included a bright colorful rainbow, a pot of shiny gold, and enough counting spaces to go from 10 to 20 and then finally to 100. 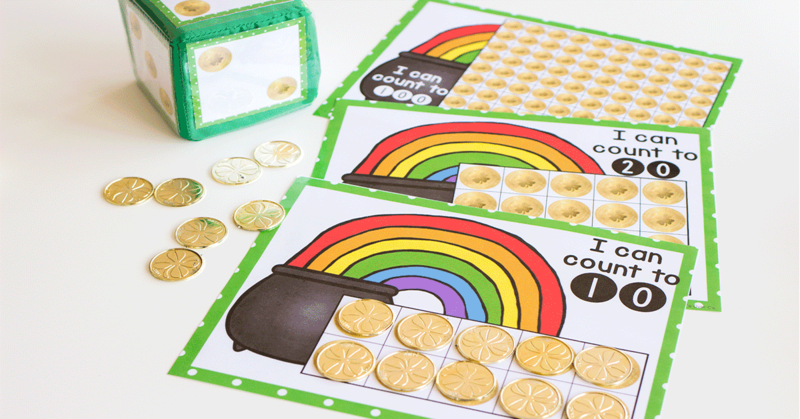 So whether you are working with a classroom full of amazing students or teaching your little leprechauns how to count, these coin games for kids are full of fun! 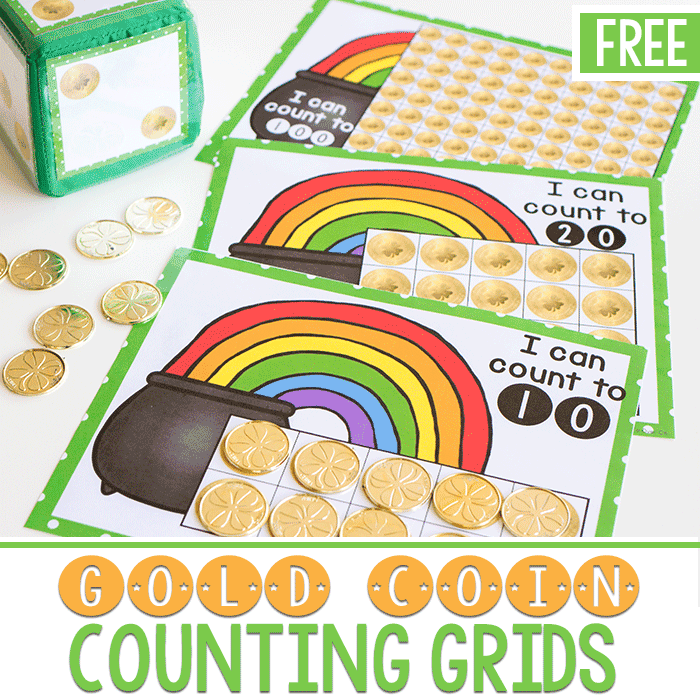 We use these printable grids along with plastic gold coins. 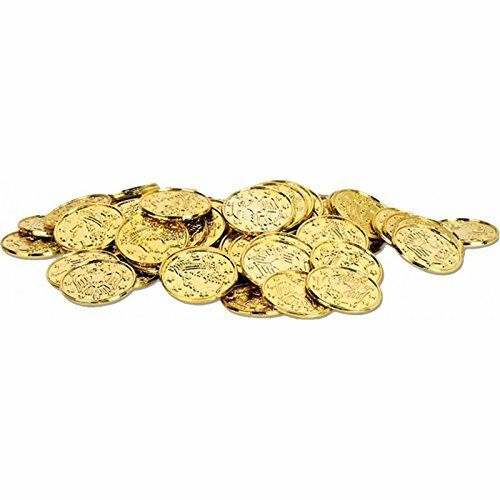 These gold coins can be found at the Dollar Store, craft stores or even amazon. 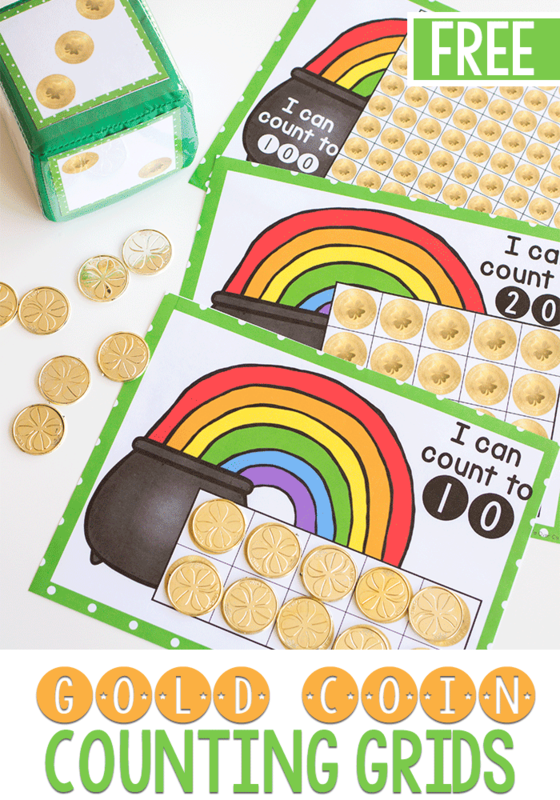 These coins make for fabulous counting manipulatives. They are easy to hold, pick up and place down. 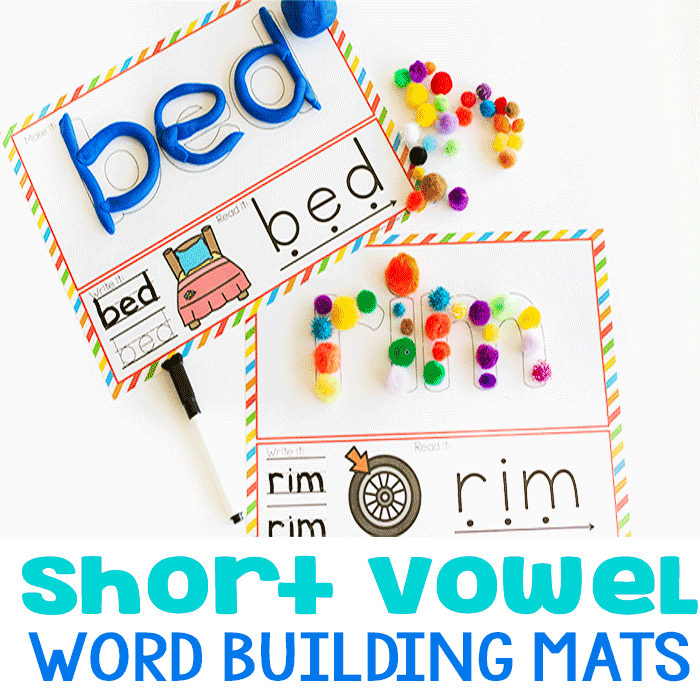 They also stack well so if you are doing other math activities these could also work excellently. Preperation: Print the Counting Grids below. This set comes with 3 different grids, one for each: 10, 20 & 100. I have also included a black and white version as well as the full color version. After printing I usually laminate the sheets so that they will last longer. For counting grids as well as other math activities, we like using our giant foam dice. We have found that they are incredibly fun just to roll around, so they make an excellent addition to this counting grid activity. I also really like that they aren’t loud, so they won’t distract other kids. 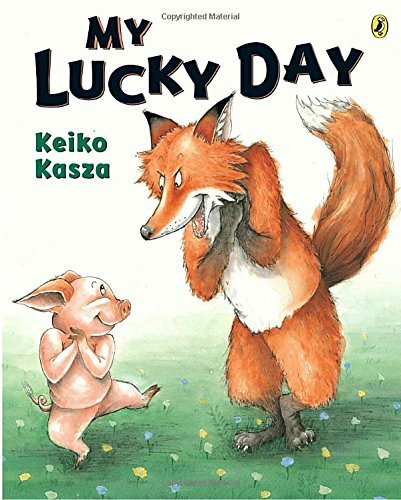 It is also super convenient that they all have a different range of numbers, 1-6, 1-12 and even 1-20. 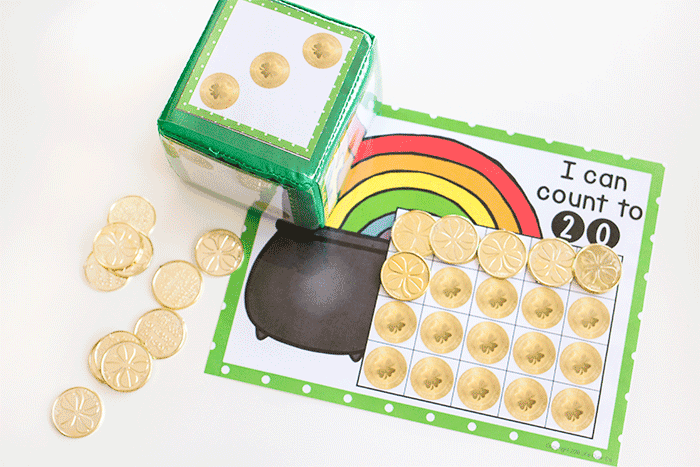 Using The Pot Of Gold Counting Grids: We start by rolling the dice and place that number of gold coins on the grid. These can be placed in any place, there is no right or wrong way to place the gold coins. This is such a fun and hands on way to practice counting. 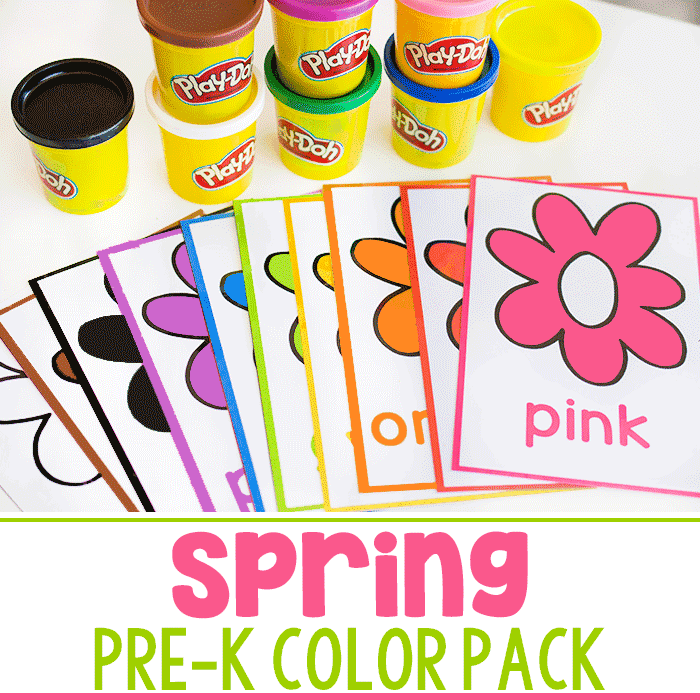 We also use this activity for practicing one-to-one correspondence. 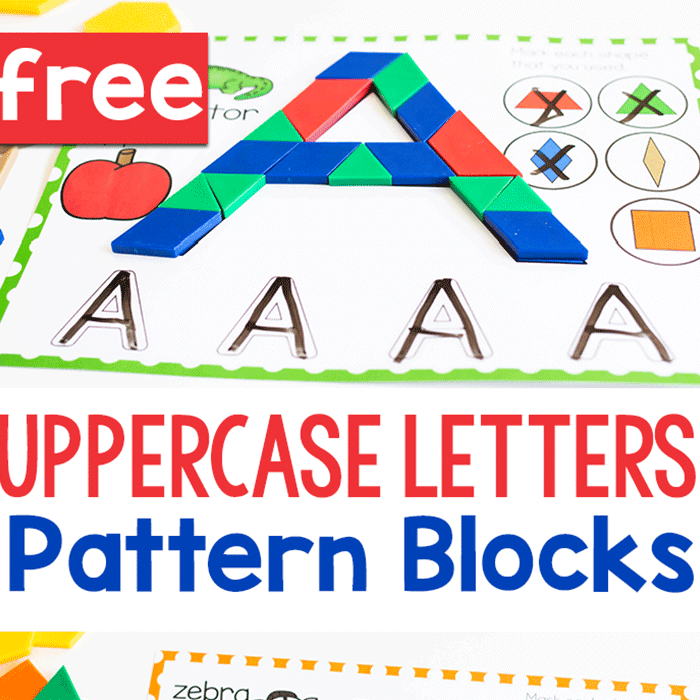 This is helpful for teaching a child that each piece equals ‘1’. 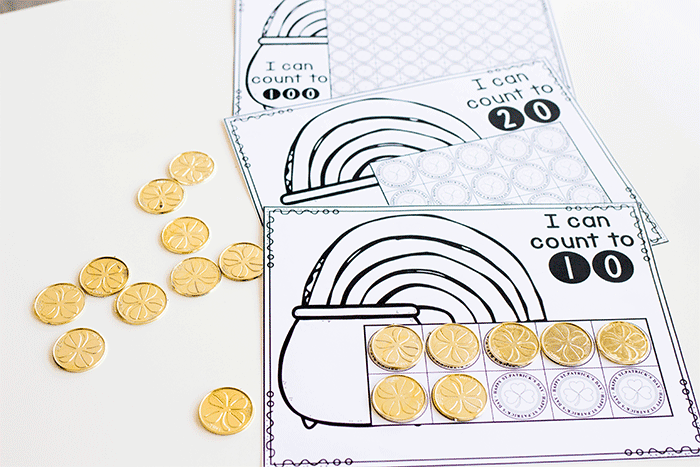 These printables are fantastic for practicing addition. We take the dice and roll twice, add the numbers together and then record the answer on the counting grids. Subtraction can also be done in a similar way. 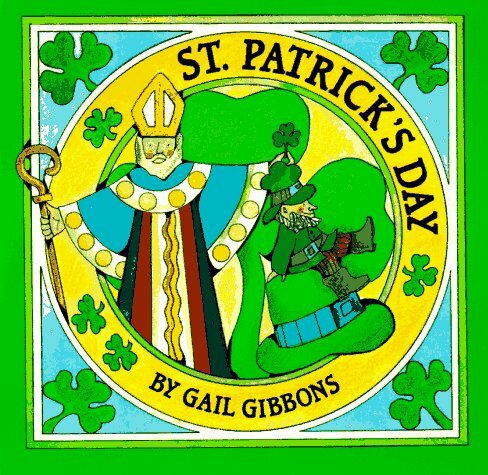 Even though we used gold coins, if you have leprechaun mini erasers or mini clover beads, those would work great as well.